Obudu Mountain Resort formerly known as Obudu Cattle Ranch is a tourist attraction centre located in Obanliku Local Government Area of the Northern part of Cross River State, Nigeria – close to the Cameroon border. 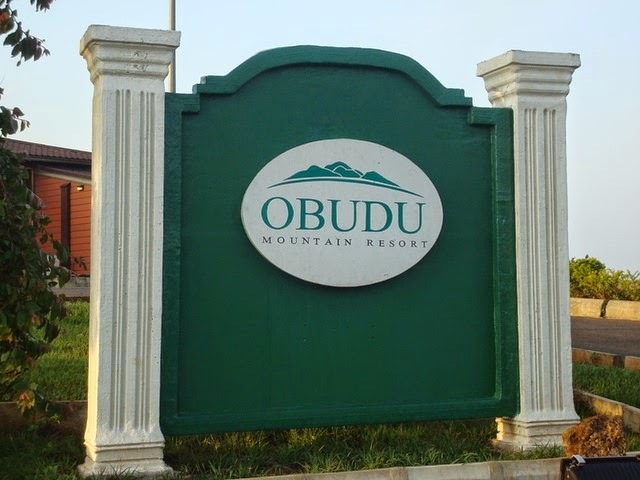 Formerly managed by Protea Hotels, it is now being managed by African Sun Limited which renamed the ranch from Obudu Cattle Ranch to Obudu Mountain Resort. The Mountain was developed by Mr. McCaughley (a Scottish), Mr. Hugh Jones and Dr Crawfeild in 1951. Surrounded by seven villages: Kejukwu, Ukwamu, Okpayanga, Abayiule, Anape, Kigol and Keyi; the inhabitants of these seven villages have lived at the mountain for over 400 years. Obudu Mountain Resort attracts lots of local and international visitors/tourists yearly, especially during the Christmas period or Obudu Ranch International Mountain Race known as "the world's richest mountain race”, an annual 11.25 km mountain running competition that takes place in late November. The Obudu Mountain Resort is larger than the size of some communities we would find around today. Largely dense by trees and mountains, the roads are beautifully structured in snake line fashion to allow access to all parts of the Mountain. Landmarks are strategically put in place to allow tourist identify their location and move more quickly around the mountain. 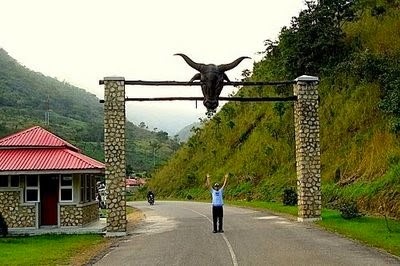 The Cow head at the entrance of the resort can be said to be a symbolical representation of what Obudu Cattle Ranch is well known for in its suburbs; organised cattle rearing due to its large coast. 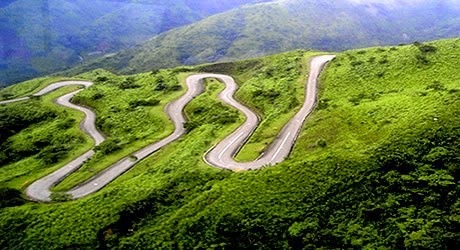 The Obudu Mountain Resort is about 30 minutes’ drive from Obudu Town, and 332 Kilometres drive from Calabar. If you want to bypass the long road trip, a charter air service is available to the Bebi Airport which lies between Obudu and the Resort. On your arrival to the ranch, you will be welcomed in the heavily decorated reception (with a massive Cow head hanging on the wall) where you can confirm your room and get other check in information you need. 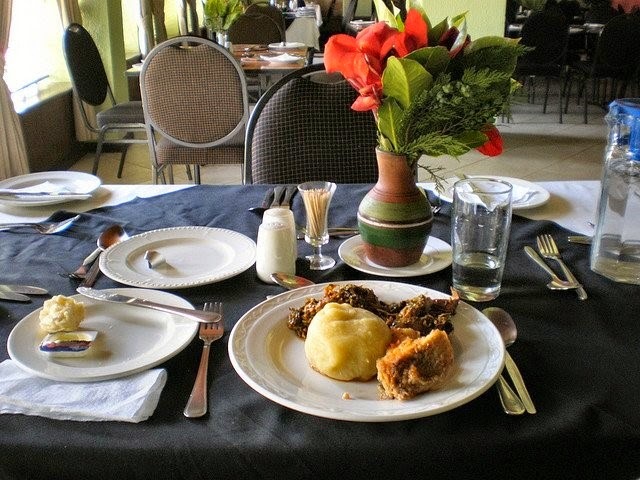 The resort offers over nine different types of lodges to choose from - African Hut, Standard Double Room, Superior Double Room, Club Chalet, Executive Suite, Royal Suite, Presidential Lodge, Governor’s Place, Presidential Villa among others; all ranging from a price between 28,500 to 75,000 naira. Though bookings or reservations are accepted all year round, it is advisable to book a room months ahead of events and holidays (like Christmas). The Resort has about four restaurants, one of which is the Terrace Restaurant and Bar that provides foods and beverages, ranging from national to international dishes. There is also a limited room service offering for guests. You can go horse riding to cover distances or take a ride in the cable car that conveys passengers from the base to the top of the mountain, which gives you a scenic view while bypassing the extremely winding road to the top. Sight-seeing – if you love watching birds and nature, then a binocular will really help you enjoy your viewings. Hiking – for mountain climbers, go with firm boots that are strong enough to pull through the journey, but light enough to aid your movement. Swimming – with two large river-sized looking pools, you can enjoy a bath and afterwards lay in the outdoor pool bed to enjoy the ray of the sun. Sports – a golf course is available for golf lovers. Working out - the fitness Centre is equipped with modern facilities that help you stay in shape. Dumbbells, treadmills, seat up bench, among others are examples of facilities you will find in the ranch’s gym. - Weather - due to the altitude, the resort is usually cold in the mornings. So don’t forget to pack clothes that will keep you warm. - Most recreational activities require an additional cost charged at per hour rate. - It may also interest you to know that the Resort has an Automated Teller Machine (ATM), so you don’t go stranded.